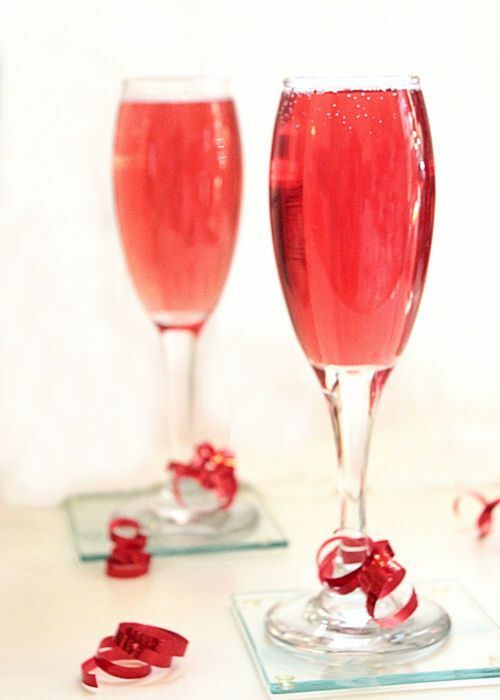 The Poinsettia Mimosa is an elegant champagne cocktail so named for it’s color – the bright, bold, rich red of the poinsettia flower. The poinsettia is a common Christmas flower, and this cocktail is a perfect choice for the festive season. The red will compliment any decorative theme and the simplicity makes this a perfect choice for gatherings and celebrations. The crisp bite of the cranberry marries well with the bubbles of champagne, making this a truly memorable cocktail to experience, and one that will keep your guests smiling. Pour the Cranberry Juice into a glass. Fill the rest of the glass with cold Champagne.